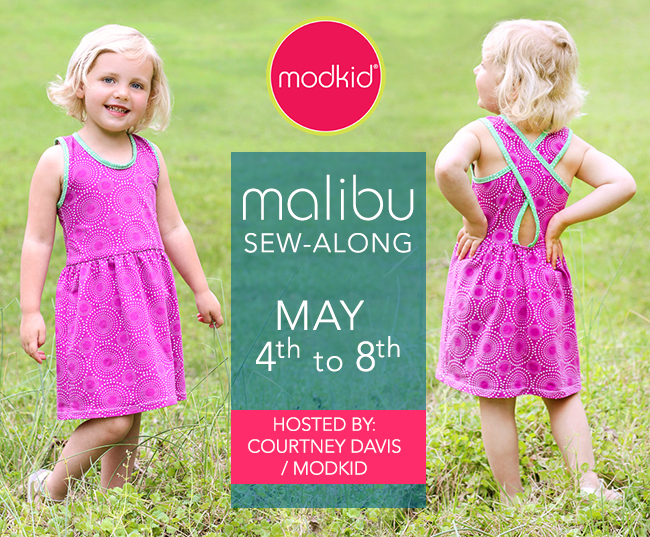 I'm so thrilled that it is finally time to sew a Malibu Cross-Back dress together! This pattern is one of my personal favorites!! Print the instruction pages on two sides (front and back). For the Malibu pattern, these are pages 2-7. I like to save ink by not printing the pretty cover and inspiration pages (1, 9-11), but that’s up to you. You may even choose to not print the instruction at all and have your digital copy handy while you sew. Print the pattern pages (12-25) on a single side only. Make sure your scaling is set to “none”. For views A & C you only need pattern pages 12-16. Now you are ready to cut into your pretty fabric! You’ll need to refer to the cutting diagram in the pattern for the layout based on the fabric type. For views A and C, refer to the cutting charts for the skirt panel dimensions. You will also need to cut 1.5" wide strips of bias tape. Refer to page 4 of the pattern for bias tape cutting instructions. Hi! Thanks for the sew-along. I have a question about adjusting the pattern. My girl is 8 years old but she is very skinny. Her height is about 120 cm but her chest widht is only 53 cm (about 21 inches). It says to cut the pattern according to the height of the child, but I'm afraid it is going to be to large at the upper body. What are your suggestions? Thanks for your help, Melanie. Melanie, glad you're joining us on the SAL. In your case, I would cut the size 4T bodice but extend the lines at the bottom to the 7 or 8/9 length. If you are doing the mini or maxi versions, you will be able to cut the skirt at the length you desire for a perfect fit. If you're doing the hi-low version, you can do as above and cut the 4T for width and 7 or 8/9 for length. Hope this helps. Thank you for this sew along experience. This is my first time sewing with knits! I have read that I will need a ball point needle ( got it!) , but dont know what stitch should i use. I am using a regular sewing machine. Zig zag? any icon/symbol I should look for in my stitches menu? stitch width and length? HOnestly , I have a serger my husband bought me for christmas but it terrifies me, I dont want to experiment now and ruin this beautiful dress. Thank u for your advice. If you prefer to use your sewing machine, look for the stretch stitch (a.k.a. lighting bolt stitch) or a 3-step zig-zag. A regular zig-zag stitch will work as well, as it will add elasticity to your seams.